’Tis the season for easy and quick breakfasts that will feed a crowd, right?! Well, it’s Stephanie here with the perfect recipe. 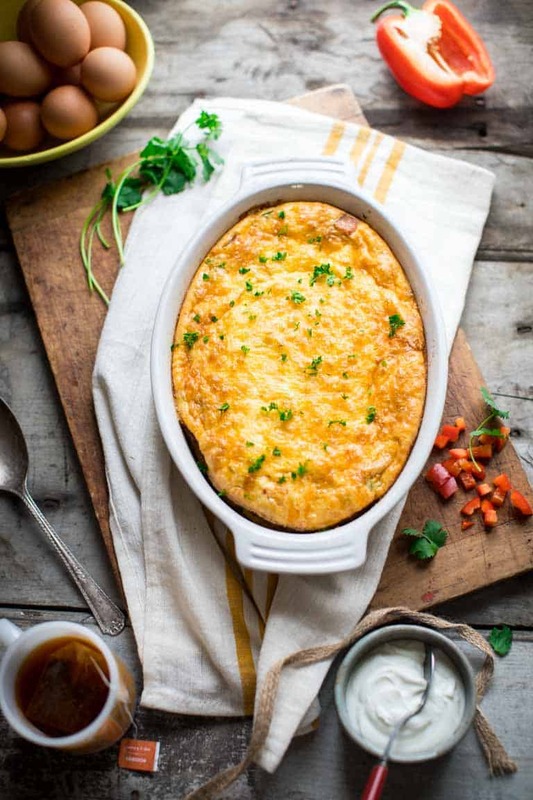 This easy and family friendly low-carb Baked Denver Omelet serves 8. Bonus… it’s great reheated and even makes an awesome lunch or dinner. This delicious recipe is featured in The Everyday Ketogenic Kitchen by Carolyn Ketchum. 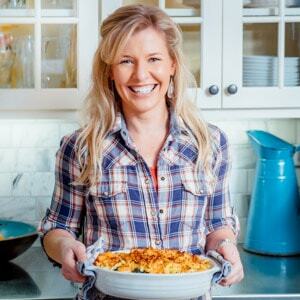 Carolyn is the mastermind behind the awesome low-carb blog All Day I Dream About Food. She turned a diabetes diagnosis into an inspiring journey into a new lifestyle focusing more on what she could have instead of what she couldn’t. Abundance instead of sacrifice. Her cookbook is chocked full of over 150 keto-friendly recipes from “breakfasts to desserts and everything in between.” The Brie and Caramelized Onion Stuffed Mushrooms sound amazing. I can’t wait to try her Thai Chicken Zoodle Soup with ginger, lemongrass and tons of veggies. And don’t even get me started about the Lasagna-Stuffed Peppers that not only look super cute, but sound really yummy. This low-carb Baked Denver Omelet really spoke to me, though. 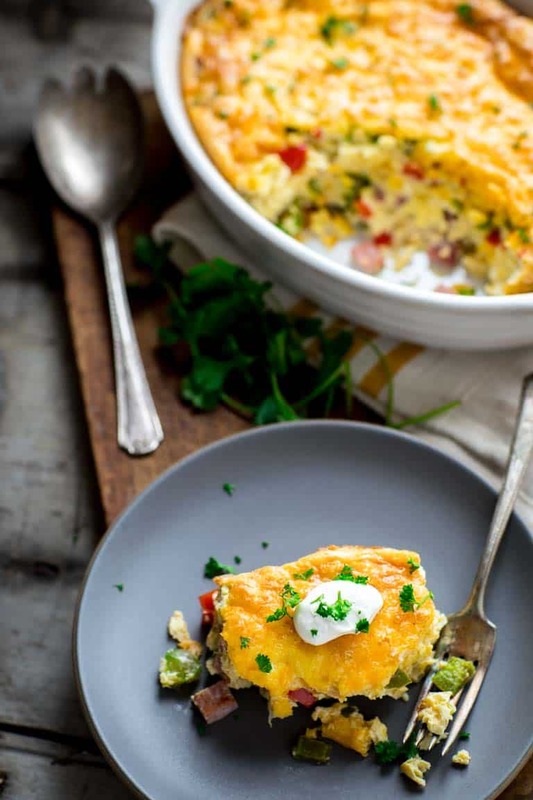 It comes together quickly and is loaded with colorful bell peppers, creamy sautéed onions, salty bits of ham, cheddar cheese and eggs. It’s everything that breakfast is supposed to be and more! 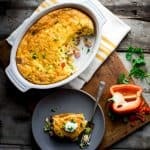 Carolyn recommend playing up the Southwestern flair by topping it with sour cream and guacamole or avocado and boy did that take this already awesome omelet to the next level! So when you find yourself with a houseful of hungry guests don’t stress, just whip up this Baked Denver Omelet and everyone will be happy! And don’t miss out on her new cookbook, The Everyday Ketogenic Kitchen! 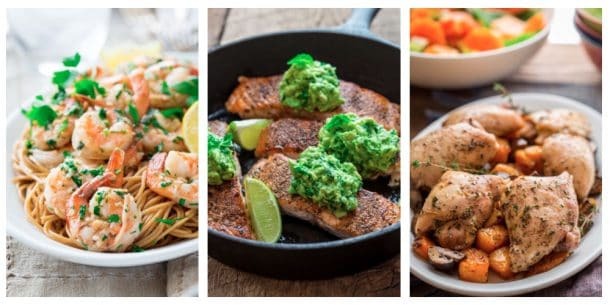 Even if you’re not following a ketogenic diet Carolyn’s recipes are accessible and delicious! Need More Healthy Breakfast Ideas? Thank you for reading. Please make sure to follow Healthy Seasonal Recipes on Instagram to stay up with the latest. This easy, low-carb and family friendly Baked Denver Omelet serves 8 and is ready in under an hour! Bonus that it’s great reheated and even makes an awesome dinner. The Western flavors of this omelet pair well with a garnish of sour cream and avocado. Store leftovers in the fridge for an easy grab-and-go breakfast. It will keep for up to 4 days. Preheat the oven to 350 degrees and grease a 1 1/2 to 2-quart oval baker or a 9 by 13-inch baking dish. Add the bell peppers and onions and continue to cook, stirring frequently, until tender, 3 to 4 more minutes. Spread the ham and vegetables in the greased baking dish. Sprinkle with half of the cheddar cheese. In a large bowl, whisk together the eggs, cream, salt and pepper. Pour the egg mixture over the ham and vegetables in the baking dish. Sprinkle the top with the remaining cheese. Bake for 35 to 40 minutes, until the center is cooked through. Remove from the oven and let cool for 5 minutes before serving. 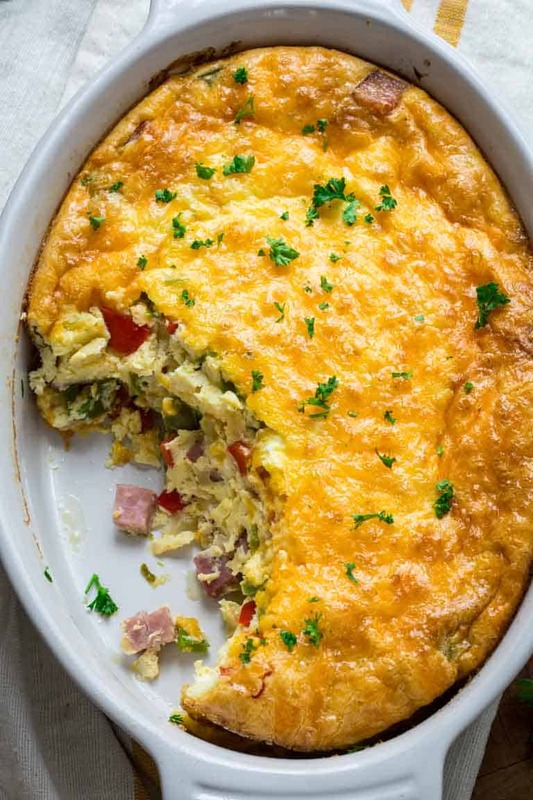 I absolutely LOVE baked omelettes/frittatas and your classic combo of ham, peppers and onions is making this totally drool-worthy! Can’t wait to make this weekend – will be perfect for visiting guests! Thanks Sarah! It is a delicious recipe. Carolyn really hit this one out of the park! Thanks Jane! 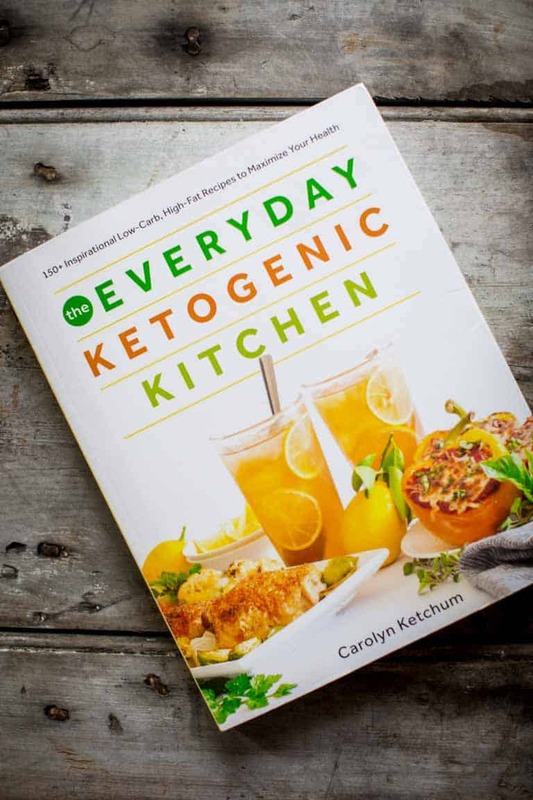 Yes, Carolyn’s cookbook is a great resource for keto-friendly recipes! This would be such a perfect recipe when you’re hosting brunch and you don’t want to be stuck at the stove! Thanks Liz! This would make a delicious brunch dish! Quick and easy! This omelet bake looks delicious. I think I will try it without the ham as I am vegetarian. It would still be absolutely yummy without the ham. Enjoy Pretty!! This is a great recipe for when you have overnight guests. I’d cook the ham and veggies the night before and in the morning mix up the egg and cheese. Then there is time for a cup of coffee! That is a great idea Leslie! I love this idea! An omelette for a group- and so tasty! I love this technique Carolyn came up with. It is so easy! I am glad you like it too. Have a good one Laura. I loved this omelet and the gently heated leftovers were great for a number of breakfasts. I’ll make it again and again! Hi Liz. I am thrilled you tried it and liked the recipe. Thanks so much for coming back to review. Cannot wait to make this! We are always looking for something different to have for weekend breakfast or weeknight dinner or both.